Sunday afternoon at 1:00pm EST, we are going to have a huge, huge game between two of the NFC’s strong teams and two teams who are jockeying for position at the top of the NFC North. The Green Bay Packers and Chicago Bears are very close in the standings, but currently they are heading in different directions. In the last five games the Packers have gone 4-1 and have won two straight to take over the lead in the North at 9-4. The Bears on the other hand are 1-4 in their last five games and have actually lost two games in a row. It’s been an interesting change for these two after the Packers started off with some tough losses while the Bears were winning big games. This game will be played in Chicago, and is huge to their shot at taking down the division from Aaron Rodgers and the Packers. Have your bet decided already? Bet today at this top bookmaker. For Green Bay, they were able to find a rejuvenated running game as well as a solid game from Rodgers. The defense for the Packers really got after Matthew Stafford and the Detroit Lions last week, and they made some big strides. If this same defense shows up against Jay Cutler and the Bears it could be a long day for Chicago. I’m expecting Rodgers to come out slinging against Chicago on Sunday though, and using the running game just to open up passing lanes for him. The Bears on the other hand have a very strong defense, but Adrian Peterson did what he’s done against almost every team this season when he ran all over them. Peterson is the best of the best, and the Bears are going to have to focus in on stopping the pass this week against Rodgers. They were without Brian Urlacher last week and it definitely showed to be a problem. Cutler also got beat up pretty bad last weekend against the Minnesota defense, and the offensive line is going to need to step up to help him out this week against the Green Bay defense. Ready to make your bet? Bet now at bookmaker. The Bears are +3 home underdogs in this one. The fact that this game is going to be played in Chicago is a nice boost for the Bears, but with how the Packers are playing right now it has to leave Bears fans a bit on edge. Green Bay has one of the best quarterbacks in the NFL, and the Bears have a quarterback who has some neck issues after taking a few big hits last week. 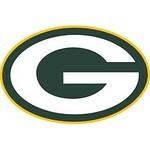 I think that the Packers defense is playing strong right now and should be able to put a lot of pressure on Cutler. With that being said, I’m going to be rolling with the Packers to win this one by a touchdown. The line actually started out around -2.5 for the Packers and has moved to -3 here. Regardless though I’m going to be rolling with Aaron Rodgers and the Packers’ hot offense right now to get the win and cover the -3 spread.